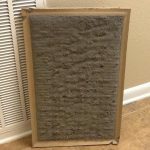 Check your air conditioner filter monthly and replace when dirty. Check the filter monthly. Your air conditioner’s filter catches dust, dirt, and allergens to keep your home cleaner. During periods of high use, like summer, a lot of air passes through the filter so it can become dirty more quickly. If you live in a dusty area or have pets, these, too, can “fill” your filter so be sure to check your filter monthly and clean or change it as needed. Some filters are washable and reusable, such as in window unit air conditioners. To clean, turn off the unit and remove the filter. Wash in warm, soapy water and allow to air dry; reinstall in unit. Replace the filter if it is worn or torn. Inspect and replace window seals to prevent cool air leaks. Central air conditioning systems typically use disposable filters. Turn off the system to prevent dust and dirt from entering the unit while you are cleaning it. Open the intake grate and remove the filter. Hold the filter up to a light; if you see very little light through the filter, replace it. Make sure to install the new filter so the air flows in the direction indicated by the arrow on the filter frame. Also, dust the grate with a soft cloth. Use the filter type recommended by the manufacturer for best performance; keep a supply on hand so you can change them regularly. Pick a day of the month, such as the 1st or when you receive your electric bill, to check the filter. This also is a good time to dust your ceiling fan blades. Does a clean filter make a difference? A clogged filter makes your air conditioner work harder to pull air through the filter. Many of the newer air conditioning units now have a safety feature that shuts down the unit if air cannot pass through the filter to prevent the compressor from overheating. When this happens, a service technician must inspect and reset the unit, resulting in a service call charge. Getting in the habit of checking and changing your filters regularly will keep your unit operating efficiently and extend its usable life. You can reduce your air conditioner’s energy consumption by 5 to 15 percent by maintaining clean air filters (www.energy.gov). Clean leaves and other debris from the fan, compressor, and condenser. Trim shrubbery so it is at least two feet away from the outside unit to allow for proper air flow. Check and clean the evaporator coil every year. Use a “fin comb” (available at hardware stores) to straighten bent coil fins. Twice a year, insert a stiff wire through the drain channels to clear and prevent clogs, which can lead to backups and flooding. Have your air conditioner serviced at least once a year. Spring is an ideal time to have a qualified service technician inspect and service your unit so it can handle the demand of the hot summer months. Keep your “cool” this summer with these maintenance tips! Set your thermostat to 68 degrees F or lower in the winter. Dress in layers for added warmth. Grab a throw or blanket to stay warm while reading or watching television. 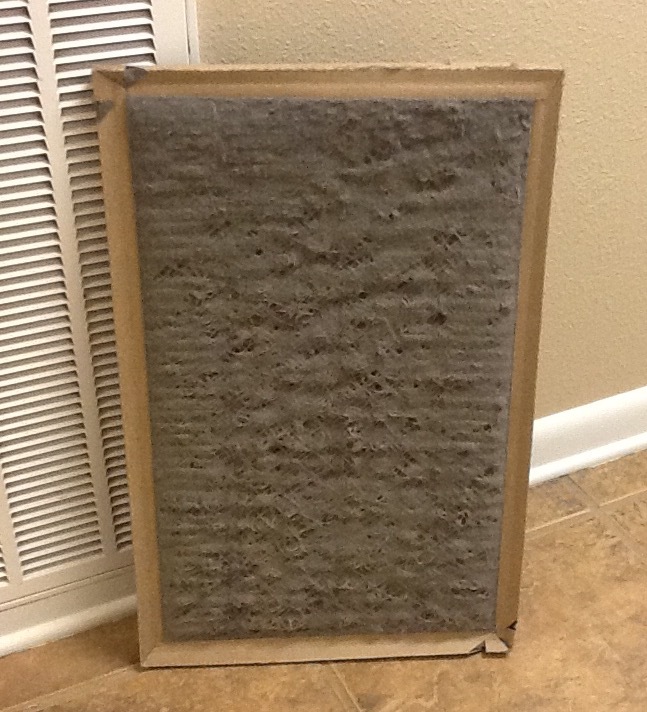 Check air filters monthly and clean or change when they become dirty. This will help your unit to operate more efficiently and last longer. A clogged filter can cause your heating system to shut down to prevent the compressor from overheating – this requires a service call to reset it. Use a ceiling fan, moving in a clockwise direction on low speed, to move heated air down from the ceiling into the living space. Turn fans off when leaving the room. Open curtains and blinds on south-facing windows to let the sun naturally warm your house. Close them at night to reduce heat loss. Caulk or weather-strip around windows and exterior doors to seal air leaks. Insulate water heater supply pipes with foam pipe wrap to reduce heat loss. For more energy-saving tips, visit My Florida Home Energy. 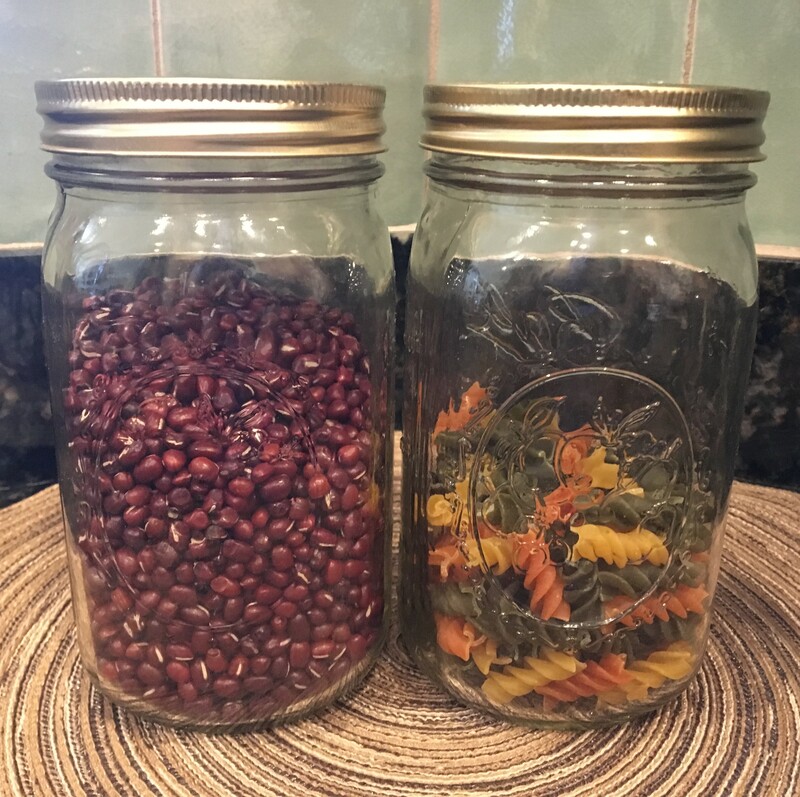 What is in Your Pantry? With fall around the corner and school starting back, it is time to take inventory of your pantry. You should really dig in and see what is lurking in the dark reaches of your back shelves. This task should be done on a regular basis to help keep foods rotated and use products that are close to expiration. It is also a good idea to refresh items that are low and you use often. Many times we are caught in the middle of preparing our favorite dish and find we are out of an ingredient. 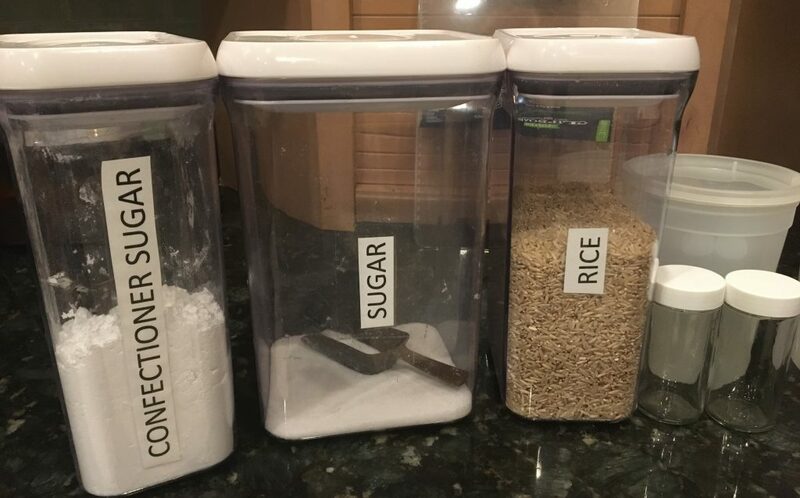 By planning and taking stock of what is in your pantry, it will be easier to plan quick and easy meals and hopefully avoid that trip to a fast food establishment to pick up something quick. Decide where you will house your pantry. It can be a designated cabinet, standalone structure or a built-in pantry. The idea is to define where you will keep these supplies for easy access and organization. 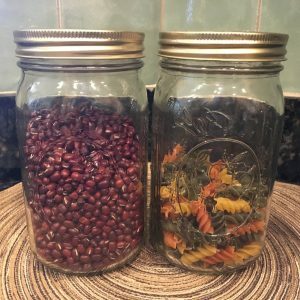 Pantry – use containers you have on hand. Inventory what you currently have and use these items first. There are many good inventory ideas you can find online. Keep a clipboard handy with your inventory list so that you can quickly see what you have on hand and what you need to add to the grocery list. Look for sales that are cost saving to stretch your food budget. Many local stores are advertising BOGOs (buy one get one) so capitalize on these items as they are on sale. Menu planning should be a weekly task to save time and money at the grocery store. As you plan out a weeks’ worth of meals, make a shopping list you have checked against items you have on hand. Meal planning should be centered around seasonal availability and the preferences of your family. Use storage containers that you have on hand. Glass containers like canning jars make great storage units for staples. The glass also allows you to see what is in the jars quickly. Remember to label items with stickers and in some cases you may need to put the purchased date. Whatever you decide to toss in your shopping cart, you can rest happy knowing you won’t ever again have to call spaghetti with butter dinner — unless that’s exactly what you’re in the mood for. Pantry items are considered dry goods or staples, things you always have on hand. Ideally, they will keep for a long time in storage, or are fresh, perishable foods regularly used up before they spoil. The idea is to subvert the need to go grocery shopping every time you cook — a major hurdle when getting food on the table. You don’t have to buy everything at once; just buy what you think you’ll eat fairly often, and in small quantities so foods stay fresh. Build up your pantry gradually. Of course, not all ingredients work as pantry staples — fresh fruits, vegetables, meats, and other foods are perishable. Do you remember the 3 R’s? If you are over the age of forty you are probably thinking of a classroom, a teacher, and learning about Reading, wRiting, and aRithmetic. These are the basic standards for learning, of course. However, it is now 2017and the 3 R’s have a new meaning to a new generation of young people: Reduce, Reuse, Recycle! In today’s society, we constantly hear concerns about the environment and how we need to implement changes to make a positive impact upon its future. It is nearly impossible to pay attention to any media without feeling bombarded by messages of conservationism. “Go Green!” “Green… it’s the new black.” “Reduce, Reuse, Recycle.” However, are these sentiments new? Think about it. “Give a Hoot… Don’t Pollute.” “Keep America Beautiful.” “Keep Our Forests Green.” The use, or abuse, of our natural resources has long been an issue debated by our nation. It has more or less been the price we have had to pay for progress; but regardless of one’s political views and beliefs, the fact that Earth is the only planet that will sustain human lives is a hard fact to deny. It is therefore critical that everyone promote principles of conservationism for our future generations. The practice of reducing, reusing, and recycling may be easily incorporated into many aspects of your everyday lives. As YOU reduce, reuse, and recycle in your daily lives, you will be teaching by example to your own children at home. Knowing that youth learn by seeing and doing, they will be much more likely to implement the practices of reducing, reusing and recycling into their own daily lives if they see you practicing the 3 R’s in yours. How does the Environmental Protection Agency describe each of the 3 R’s? Reduce the amount and toxicity of trash you throw away. One way is to turn off or unplug lights during the day. Doing so will save energy and help your lights last longer. Use food scraps, yard trimmings, and other organic wastes to create a compost pile. Adding the compost you make to soil increases water retention, decreases erosion, and keeps organic materials out of landfills. Reuse containers and products. There are many creative ways to reuse items, which might normally find their way into the waste stream: old shoeboxes may be used for storage, plastic containers for planters, etc. You can also donate or give away items rather than throwing these items away. For a large number of unwanted items, you can hold a garage sale. It is also encouraged to shop at garage sales before buying new! Recycle as much as possible and buy products with recycled content. Recycling includes collecting, sorting and processing certain solid waste into raw materials for re-manufacture into new items. These all help to cut down on the amount of waste we throw away. They conserve natural resources, landfill space and energy. In addition, the three R’s save land and money communities must use to dispose of waste in landfills.These are all things we can do daily with just a little thought and effort. In fact, businesses are making it easier for us every day. We can reduce our trash in many ways, but an easy way is to reuse water bottles instead of throwing them away after each use. We can use the reusable bags that many stores now offer for our purchases; this is a great alternative to using plastic shopping bags. 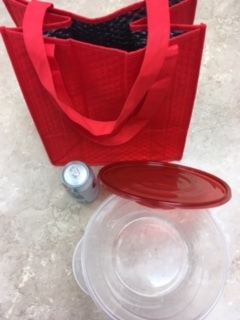 Of course, we can all make more of an effort to recycle by collecting our newspapers, aluminum cans, plastic bottles and glass jars for local recycling centers. If there are not recycling centers in your area maybe you should start one or pursue your community leaders about the importance of having one. The average American produces about 4.5 lbs. of garbage per person per day. This equal 235 million tons a year. Recycling 1 ton of paper saves 17 mature trees. Reduce and reuse by donating old clothes and items to charities. By instilling the importance of the 3 R’s into today’s society we will be helping clean the planet for the future. After all, “A true conservationist is a man who knows that the world is not given by his fathers but borrowed from his children.” As quoted by John James Audubon. 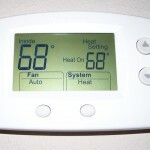 Set your thermostat to 68 degrees or lower in the winter to reduce heating costs. 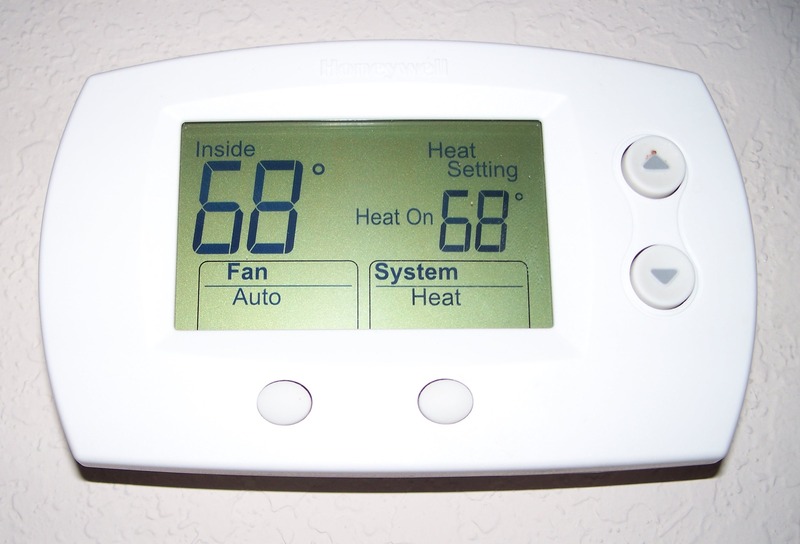 Set thermostats no higher than 68ºF when people are home. Lower the thermostat when you sleep or are away from home. The Energy.gov website states that if the setback period is 8 hours or longer, savings of as much as 1% for every degree setback can be achieved. Put on a sweater or warmer clothing for comfort and lower the thermostat even more. Layer clothing. Closed or tighter cuffs and collars help to retain body heat. An extra blanket or throw will keep you toasty with a lower thermostat setting. Use ceiling fans to circulate heated air. Most fans have a switch that allows users to adjust the direction of the fan blade movement. Set fans to move in a CLOCKWISE direction in winter. The upward air flow will move stagnant hot air off the ceiling area and down into the living space. This allows for a lower temperature setting on your heating unit without a reduction in the comfort level. To ensure the heat gets to where it is supposed to go, use mastic or foil-faced tape to seal the seams and any cracks in air handling ducts. Have the heating system serviced each year to ensure efficient operation. Check caulking and weather stripping around doors and windows. Replace as needed to reduce heat loss. Clean or replace heating system filters. Dirty filters reduce the efficiency of the heating system and waste valuable fuel. Check filters monthly and clean or replace as directed by the manufacturer. Do not place furniture and curtains over or around the heat registers or in front of cold air returns. These items will block the airflow. Never use the stove for additional heat. It is dangerous. Besides causing a fire hazard, fumes given off by combustion from gas appliances can result in increased carbon monoxide levels. On sunny days, open blinds, shades, and curtains, especially if your windows face south. At sunset, close the blinds, shades, and curtains to help keep heat in your home. This really makes a difference. For more household energy saving tips, visit the UF/IFAS Energy Efficient Homes series.